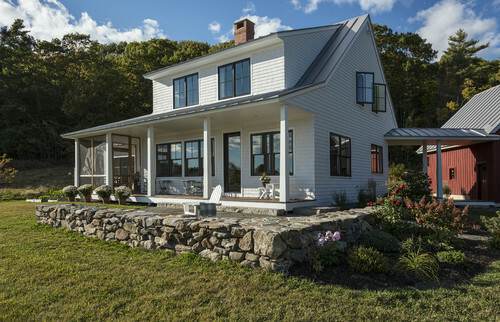 A couple build their long-imagined Maine home from scratch by using classic New England thinking. 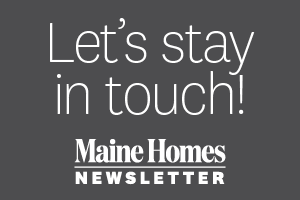 Debbie and Steve Fuller always wanted an old house in Maine. 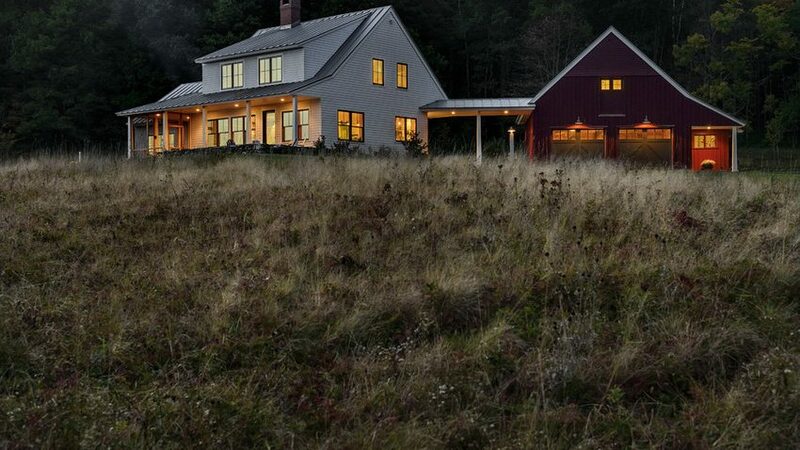 But to truly get the home of their dreams, they needed to start from the ground up. 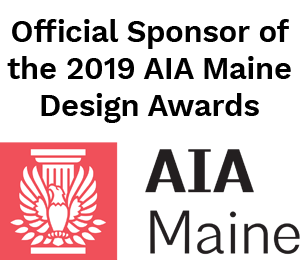 For help creating a new house with an old feel, the couple hired architects Rob Whitten and Will Fellis, who took inspiration for siting, light and more from the same design thinking that New Englanders have used for 300 years. It started with a field. 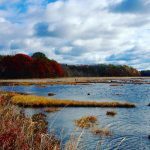 The Fullers bought a plot of land off a quiet private road in Maine that stretched to the water. The location was idyllic. Whitten saw potential for a modestly sized modern farmhouse designed just the way farmers would have done it more than a century ago. The strict budget led him to what he calls a clever plan based on exposing the interiors to sunlight and nature. Whitten began with the site, using a hill as a perch. 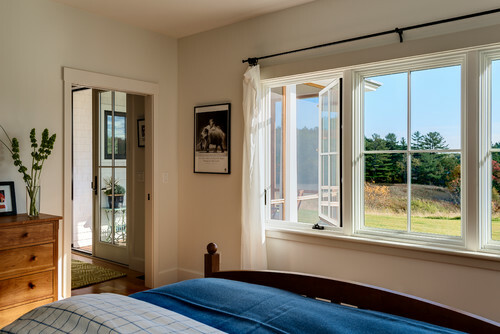 Next, he identified sunrise and sunset views for window placement to maximize the light. 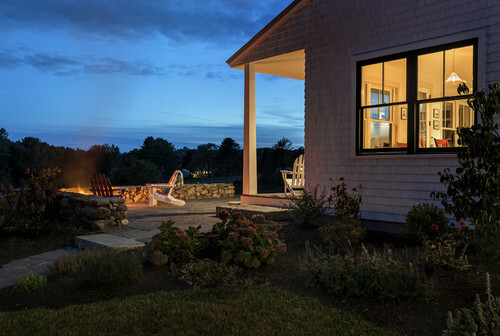 Budget-friendly, low-maintenance materials, such as a Galvalume metal roof and prefinished board-and-batten cedar siding, drove the look that Whitten calls “simple and Shaker-ish.” A geothermal heating system, radiant floors and closed-cell spray-foam insulation help conserve money and energy. 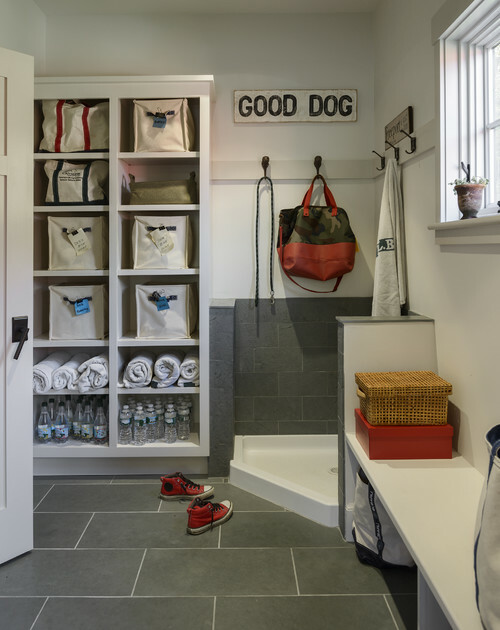 Interior designer Krista Stokes helped the Fullers with creative design solutions, such as a dog-washing station in the mudroom, finished in honed Maine slate. Leash hooks and plenty of cubbies ramp up the storage, while a long bench helps for lacing up boots or setting down bags. The mudroom leads to a large L-shaped kitchen that wraps around an island topped in conservation-grade red birch, which was also used for the floors. 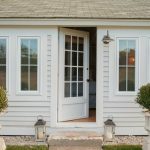 The homeowners saved money by choosing boards with more knots and discoloration, which also lend an older feel. 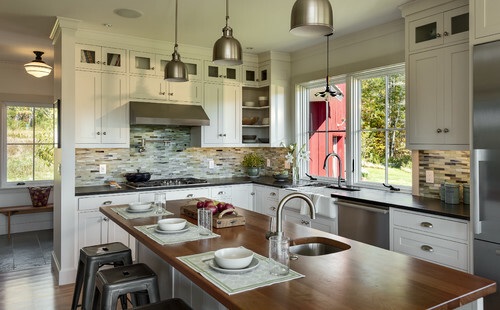 The designers kept the cabinets, millwork and trim simple and minimal to avoid distracting attention from the views. 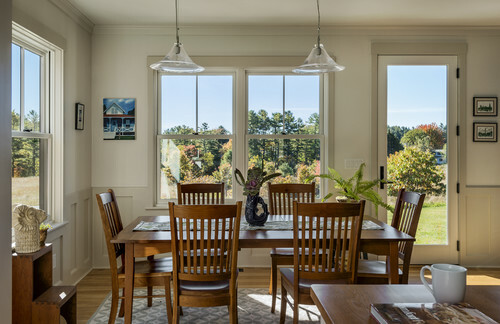 Off the kitchen, the dining room features windows on three sides that offer panoramic views of the field. The dining room opens to the living room, in which stow-away cabinets conceal a TV to the left of the fireplace. 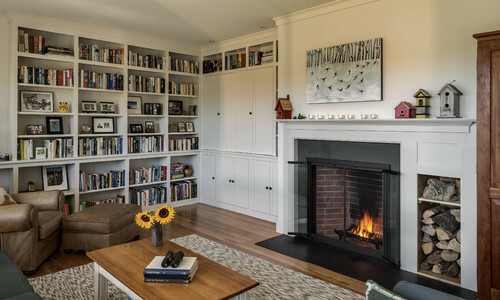 “Our mission from the start was to create a very relaxed, inviting and unpretentious home,” says Stokes, who used a lot of the homeowners’ previous furniture and accents in the master bedroom and throughout for a personalized design approach. 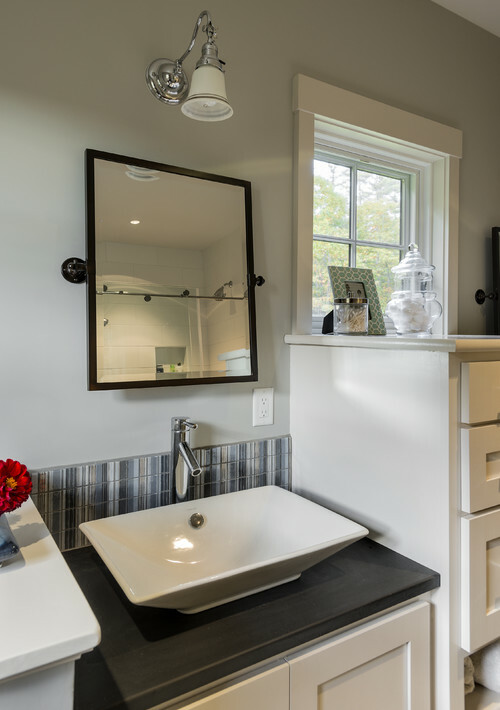 In the master bathroom, local cabinetmaker Greg Soper of North Yarmouth Woodworking created custom storage. He also did the cabinetry in the pantry and kitchen, offering storage solutions that help reduce clutter. 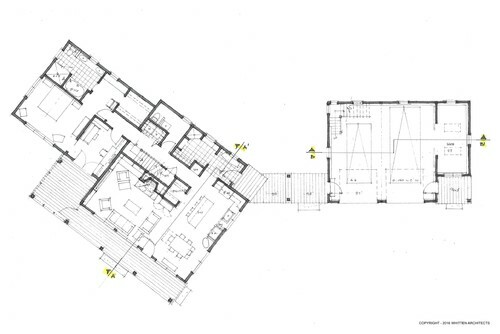 The first-floor plan shows the arrangement of the rooms from the garage and breezeway to the right and into the mudroom, kitchen and down the hall toward the master suite at the far left. Beautiful home, love the dog washing station! The dog-washing station is inspired. 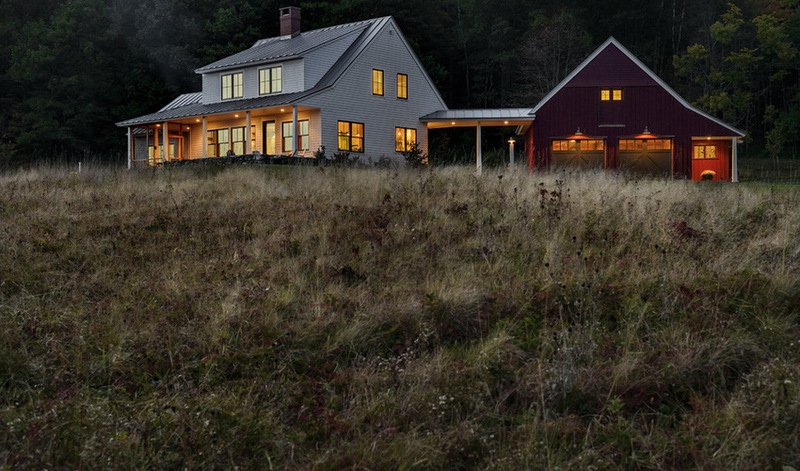 Love the house – stunning.